Join us this week as we welcome county music artist, Joey Glenn. Joey is a rising country star already way ahead of the game with what she has accomplished, as a recording artist, a songwriter and a performer. 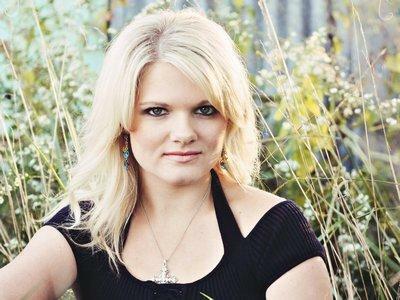 She has been blessed with a powerful and sophisticated singing voice and self-confident stage presence that gives her the opportunity to make a name for herself in some of the hottest country venues. She has been priveledged enough to have performed ahead of such artists as Montgomery Gentry, Chely Wright, She Daisy, Ty Englund, Asleep at The Wheel and Andy Griggs along with numerous other icons. We will talk to Joey about her upcoming schedule, get a behind the scenes look at her music, feature songs from her debut album "Driven By Emotion", and ask her to share her efforts to support the troops. Please be sure to visit Joey Glenn at http://www.reverbnation.com/joeyglenn and spread the word. Fans are welcome to call in and chat live with Joey during the show. If you would like to participate in the live chat during the show, you must sign up on the show site first and then log in during the show. More great music for a really great cause! And as always we will give shout outs to our deployed military listeners. This is sure to be a terrific show so be sure to join us, Sunday October 30th 2011 at 4:00 PM EST! Our message to the troops....WE do what we do, because YOU do what you do.